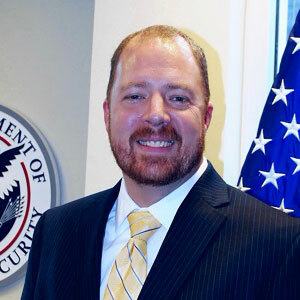 Matthew Smith is the Director of Cybersecurity Solutions for the U.S. Department of Homeland Security (DHS). In his role working for the DHS Chief Information Security Officer (CISO), Mr. Smith is responsible for the security architecture, security engineering, and cloud security analysis for the Department enterprise services and Headquarters Component. Mr. Smith is also the Technical Representative of the DHS CIO as FedRAMP Joint Authorization Board member and has been working with his counterparts at the Department of Defense and the General Services Administration to govern secure Federal use of cloud computing. He lead the deployment and integration of Continuous Diagnostics and Mitigations as well as the transformation of the Enterprise Security Operations Center at DHS. Mr. Smith has 20 years of experience in security, operations, and development across industry, academia, and government.